 How we use this information.  The choices we provide to you, including how to access and update information. We've always sought to make things simpler for users, but if you are unfamiliar with terms like cooie, IP address, pixel tags, and browsers, first learn about these key terms. 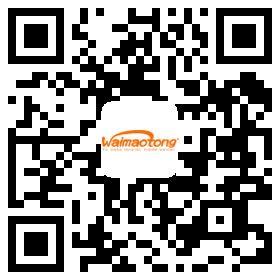 Waimaotong places a premium on privacy issues for all new and existing users, so please take the time to review our practices. If you have any questions, please contact us. 1. Your privacy is important to us and we have taken steps to ensure that we do not collect more information from you beyond the information we need to provide you with services and to protect your account. 2. The user may register on the web site with information including, but not limited to, user name, address, phone number, fax number, email address, gender, date and / or year of birth and user preferences ("registration information"). 3. Any transaction and payment services or services under the Buyer Protection Program that we provide on the Website including but not limited to bank accounts, billing and delivery information, credit / debit card numbers and expiration dates, and tracking information that can be collected from Check or money order ("account information") in order to, among other things, facilitate the purchase and sale of, and the settlement of, the purchase price of the product or service acquired through or through the Website. 5. From time to time, we collect information about our users and potential users at trade fairs, industry events and other features. Information we collect at these locations may include, but is not limited to, usernames, addresses, phone numbers, fax numbers and email addresses ("Event Information"). 6. We record and keep a record of users' purchases and browsing activities on our platform, including but not limited to IP address, browsing mode and buyer behavior mode. In addition, we collect statistical information about websites and visitors, including but not limited to IP addresses, browser software, operating systems, software and hardware properties, browsing pages, number of sessions, and unique visitors (collectively "browsing information"). 7. Registration information, account information, activity information, event information, and browsing information generally relate to business entities, collectively referred to as Business Data ("Business Data"). As long as they constitute the personally identifiable data of living individuals, collectively referred to as personal data ("personal data"). 8. Site users must provide certain categories of business data and personal data (as specified at the time of collection). We may not be able to complete the registration process or provide our products or services to users if they do not provide any or sufficient business data and / or personal data as mandatory. 9. Disclosure in accordance with any of the above objectives or laws, rules and guidelines, or any investigation, claim or potential claim we file or object to. 1. You further agree that we may disclose your personal information to our service providers and transfer them to the jurisdiction of your Waimaotong entity to assist us (including but not limited to data entry, database management, promotion , Product and service alerts, delivery services, payment expansion services, membership certification and verification services, and logistics services) ("Service Providers"). These service providers have a duty of confidentiality to us only to use your personal data for the purposes set forth in B.1 to B.9 above, not for their own purposes. 2. Any personal information you provide will be retained by us and any personal data mentioned in B.1 to B above may be accessed by our employees, any service providers we commissioned, and third parties mentioned in C.2 and C.3 above. 9. 3. All voluntary information is publicly available on the website and is therefore accessible to any internet user. Any voluntary information you disclose to us becomes public information and you waive any proprietary rights in the information, including but not limited to, confidentiality and copyright. You should exercise caution when deciding to include personal or proprietary information in the voluntary information that you submit to us. 4. We may share your account information with your bank or supplier so that your transaction on the website is completed. In addition, we may use your account information to determine your creditworthiness, and in the process we may need to provide such information to banks or credit agencies. Although we have the latest technology and in-house procedures to protect your account information and other personal data from intruders, we can not guarantee that such technologies or procedures will eliminate the risk of any theft, loss or misuse. 5. We may provide statistical information to third parties, but when we do so, we do not provide personally identifiable information without your permission. You have the right, under applicable law, to access the personal information we hold and to request correction of such information. 471, Jincheng Road, Xiaoshan District, Hangzhou, Zhejiang Province Zhejiang Foreign Trade Internet Ltd.
We reserve the right to charge reasonable fees for any data access or correction requests, as per applicable law. "Cookies" is a small amount of data sent to your browser and stored on your computer's hard drive. Only when you use your computer to access the site, cookies can be sent to your computer's hard drive. If you do not close or delete cookies, each time you use the same computer to access the website, our web server will be notified of your visit to the website, and we may know your visit and your usage. You can determine whether and how to accept cookies by configuring the browser installed on the computer that you use to visit the site. If you choose, you can change these configurations. You can accept all cookies by setting your preferences in the browser, or you can choose to notify you when you send cookies or you can choose to reject all cookies. If you deny all cookies by opting to disable the cookie in your browser, you may need to re-enter the information on the site more often and some of the site's features may not be available. This website and its contents are not intended for minors (under 18 years) and we do not intend to sell any products or services to minors. However, we can not differentiate between the ages of individuals who visited our site. If a minor gives us personal information without the consent of the parents or guardian, the parent or guardian should contact our legal department at the address stated in paragraph D above to delete the information. We use commercially reasonable security methods to prevent unauthorized access to the website, to maintain the accuracy of the data and to ensure the proper use of the information we hold. For registered users of this site, your registration information and account information (if any) can be viewed and edited through your account, which is password protected. We recommend that you do not reveal your password to anyone. Our employees will never ask for your password in unsolicited calls or unsolicited emails. If you share a computer with others, you should not choose to save the login information (for example, user ID and password) on the shared computer. Remember to quit your account after completing the session and close the browser window. Data transmission over the Internet or any wireless network can be guaranteed to be completely secure. So while we try our best to protect the information we hold for you, we can not guarantee the security of any information you send to us, at your own risk. We only allow Waimaotong employees, contractors and agents who access this information in order to process the personal information for us to access personal information, and they need to fulfill strict contractual confidentiality obligations that may be violated if they fail to meet these obligations Investigate legal liability or terminate its relationship with Waimaotong.